The Our Orange Our Schools art program in the Orange City Centre has wrapped up for the year with the finalists and grand prize winner being announced. Glenroi Heights Public School were the chosen winners judged by a panel of judges including Centre Manager Nicole Chapman, Mayor of Orange Reg Kidd and Director of Public Schools Duncan Auld. There were 12 schools who participated in the program who each received a $250 donation towards the school and the winner received a further $1,000 donation. 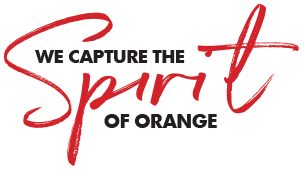 “Each School presented a creative, unique and special artwork in response to the brief – what does Orange mean to you? “We definitely enjoyed meeting the children at each morning tea, hearing their stories and experiencing their pride and excitement over what they’ve achieved,” said Nicole Chapman, Orange City Centre Manager. Martelle Bennett, Stage 2 Classroom Teacher at Glenroi Heights Public School, said “It is amazing to win, we are very proud! I can’t believe it is actually us and we wish we could share it with the other two finalists. “We had a committee to talk about how we wanted it to look and we wanted to incorporate the school, town and the culture. So, we came up with the puzzle design and we wanted to make it as bright and colour as we could. “We have our Strong, Smart Proud philosophy on there and we have recognised our aboriginal culture, the seasons of our town and local landmarks. “We are hoping to put it in the library and we might hang it outside at the school presentation so everybody can see it because a lot of parents haven’t seen it yet. “We tried to pick at least a few students from each class, a lot of the school were involved in it which has been great”. Dec 18 So young – so much talent!